Hindu is the bible for upsc aspirants & Hindu notes are precious. HINDU NOTES are Hallmark of IASTODAY and we started providing monthly Compilations.We are also providing hindu notes daily free here. You can see this magazine in every shop you visit at delhi.These are sufficient for prelims & mains as it dedicatedly designed based on upsc syllabus and changing pattern. 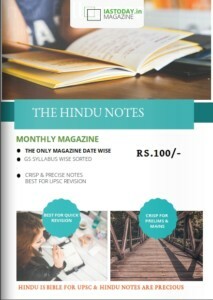 DATE WISE COMPILATION OF HINDU MAGAZINES FOR CURRENT AFFAIRS CAN BE DOWNLOADED BELOW.